TechPinas is the Philippine Technology Blog. "TP" aims to chronicle the latest technology news that affect Filipinos everywhere in the world (among other generally techie stuff) -- all in reader-friendly blog format. Its primary vision is to share specs and beyond to help build a tech-informed, tech-empowered nation. We hope to grow with you. Feel free to email us your shout-outs, suggestions, corporate press releases, tech questions, love notes and advertising inquiries at events.nobounds@gmail.com. TechPinas is being run by Mark Milan Macanas. In 2004, Mark Milan Macanas graduated as a scholar from Ateneo de Manila University with a degree in Economics -- but hardly pursued anything related to graphs and calculators after that. The truth is, while he can solve complicated math problems, he loathes Math. "I'd rather blog," he said. 8 months after he graduated from college, Milan started to work for an office in Ateneo de Manila as an on-field researcher (travelling the country - from Baguio to South Cotabato, Cebu to Bohol ~ not that they are far from each other ~, etc.) but was eventually assigned to head an inter-school concert event after his boss learned that he had a very short stint with the world-renowned Ateneo Glee Club. It was while getting corporate sponsors and appearing on TV to promote the event when Milan found his passion for Marketing and PR. "This is fun," he thought. When Milan finally decided to leave Ateneo and try his hands on the 'real world', he applied for a job in an Advertising Agency located near ABS-CBN and was consequently taken in. While neither a copywriter nor an artist in that agency, Mark realized - while at work - that to have a good life, one has to immerse himself in Art, any form of it, and have courage to try 'it' on his own. And so when he felt that he already got quite enough basic knowledge of how the advertising industry works, he immediately resigned from his post (yup, without ado - before he becomes any more of a corporate slave) and decided to just grab-and-shake Life and Art by the neck and try 'it' on his own. At 23, Milan started his own Events Management company - working with companies like Levi Strauss, Bayer, Pepsi, Coca Cola and ABS-CBN among others and acts like The Philippine Allstars - World HipHop Champions. After a year, he decided to also pursue Publishing and with a great-great team, created The First Cafe Lifestyle Magazine in SouthEast Asia, SIP Mag released bi-monthly in all The Coffee Bean and Tea Leaf branches in Mega Manila - This time working with hip advertisers like Havaianas Philippines, Wrigley, BAYO, SEAIR among many others. "I feel so blessed that my work is indistinguishable from my passion and that what-I-do is a testament that I'm living my life as I believe. I just know that the best is yet to come," he commented on the things that he has started. Milan's let's-make-love-at-Sea-World-on-the-back-of-a-killer-whale Love Affair with Technology and Gadgets happened rather recently. In August 2008, while the Beijing Olympics was holding its undeniably grand closing ceremonies, he bought a Z61m Thinkpad (yup, the one with the 'rocket titanium' lid) and fell madly in love with it. He named it "Phelps" -- after that swimming star who got the most Beijing olympic golds. With Phelps, Milan became a rabid Thinkpad fan -- defending, promoting and flaunting the line everywhere he went. "Thinkpads are the best laptops created by Man and that is something the knowledgeable won't deny," he proclaimed. While at it, he also checked out other gadgets and, somehow, also fell in love with them. "This gadget thing is getting a little out of hand. Not that I am a Writer but I think I should write about them. And Technology too -- all to empower other Pinoys." Mark's guest appearance on GMA News Channel's Pop Talk where he reviewed waterproof cellphones alongside actor Rocco Nacino and surfer Lorraine Lapus. Since its birth in 2008, TechPinas has gone on to become one of the most read technology blogs in the Philippines. Based on a study done by Effective Measure, a leading international online audience measurement solution with a focus on the Middle East, South East Asia and Oceana, TechPinas.com is the most viewed technology blog in the Republic of the Philippines. The results of the research was published in the October 2011 issue of Adobo Magazine, the leading and most respected magazine for advertising and media agencies in the Philippines. Additionally, according to data gathered by Alexa as of December 2013, TP - as thousands of Pinoys on Facebook and Twitter endearingly call Milan's site - is one of the top 500 most read websites in the Philippines out of the millions upon millions of sites online (The list includes Google, Facebook, Yahoo, among others). Quantcast data, on the other hand, show that TP is actually one of the 80 most visited websites in the country. For those who are wondering: As of writing, TechPinas monthly pageviews fluctuate from 700,000 to 1,000,000. But it isn't just high-traffic that TP has come to be known for. As of February 2018, TechPinas remains to be the most followed technology blog in the Philippines on the popular social media site, Twitter, with more than 20,000 followers. TP is also one of the top 10 most followed Pinoy tech blogs on Facebook, Twitter, and Instagram. 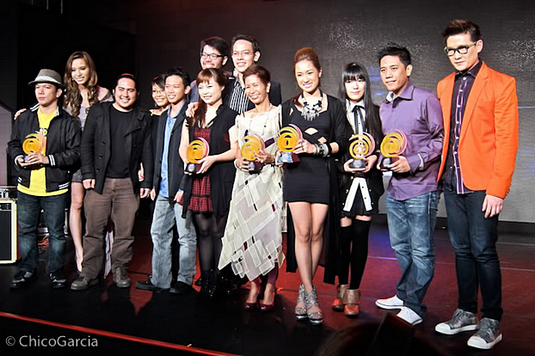 In August 2011, Globe Telecom via Globe Tatt Awards - which recognizes greatness in social media - awarded TP Founder Mark Milan Macanas as its first ever Tech Junkie, joining winners in other categories: Lea Salonga (Ball Breaker), Bianca Gonzales (Thought-Mover), Elizabeth Angsioco (The Advocate), Mike Bustos (Video Slinger), Up Dharma Down (Indie Rocker), Professional Heckler (Word Slayer), Jin Joson (Artiste), Laureen Uy (Stylisimo) and Filipino FreeThinkers (The One). Milan won the award on the merit of the Globe Tatt Council scores, popularity in social networking sites (Twitter and Facebook, among others) and online voting. In June 2012, Mark was announced as one of the seven ambassadors of the New Tattoo iPad in the Philippines. The New Tattoo iPad is Apple's landmark flagship resolutionary tablet bundled with Globe Telecom's postpaid mobile broadband plans. Mark Milan Macanas was joined by other ambassadors including celebrities Tim Yap and Georgina Wilson, blogger Cecile Van-Straten, photographer BJ Pascual, rockstar Miggy Chavez and stylist Charina Sarte. Later that year, Globe Telecom chose him to be one of the company's ambassador's for the Globe iPhone 5. In 2013, Sun Cellular got Mark to be a Online Ambassador for the brand. Holding that title, he promoted Sun Broadband and Sun Postpaid plans in TechPinas. In February 2014, Mark signed a contract with Smart Communications to be a Digital Media Ambassador for Smart Bro and Smart Communications' prepaid and postpaid plans, products, and services. 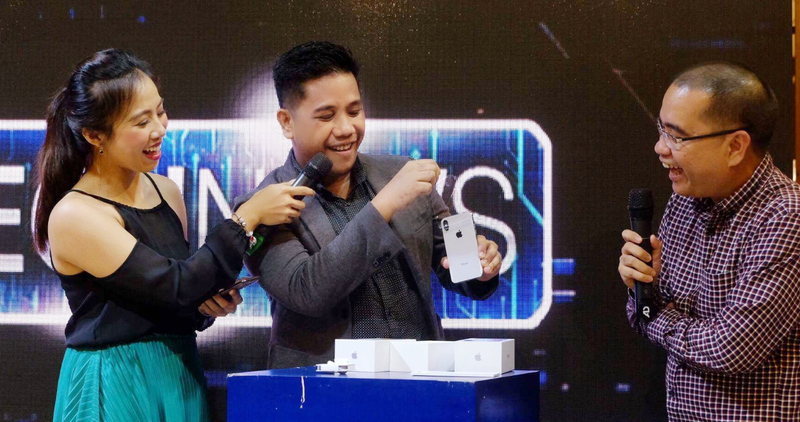 On November 3, 2017, Mark unboxed the first ever Apple iPhone X unit in the Philippines with Smart Communications and Manila Bulletin Tech News Team. 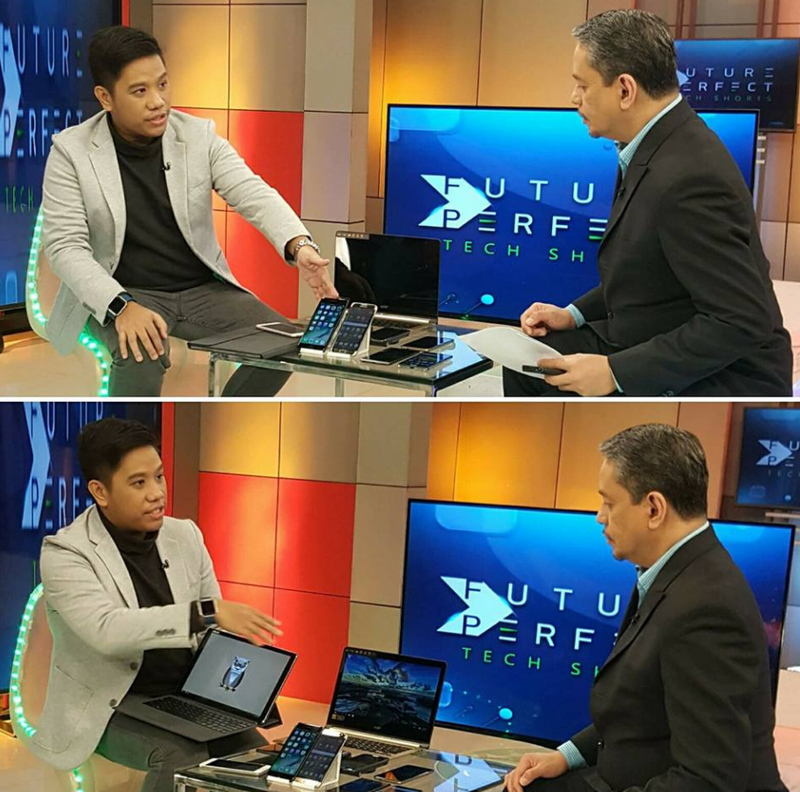 Major media outlets including ABS-CBN News Channel, DZMM Radio and GMA News Network have likewise chosen and tapped Milan as guest speaker and resource person for various tech-related topics and features. 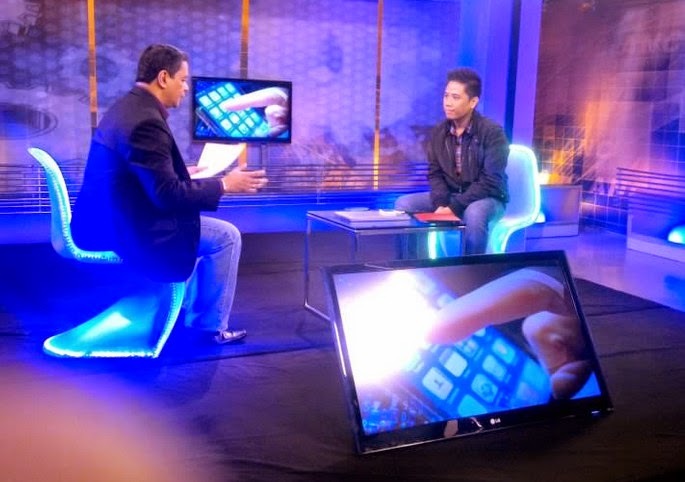 He has appeared on TV shows including Mornings@ANC, Future Perfect, DZMM TeleRadyo, Ang Pinaka, and Pop Talk. 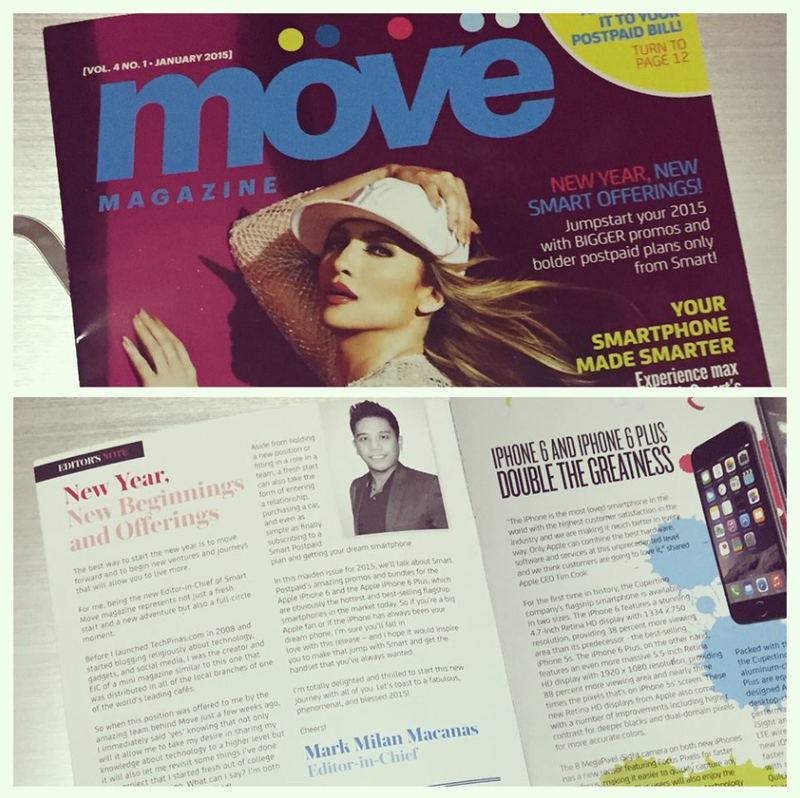 From January 2015 to May 2016, Mark became the Editor-In-Chief of Smart Communications' MOVE Consumer Magazine, which was printed in partnership with Summit Media, one of the country's biggest, most trusted, and longest-running magazine publishers. For the entirety of 2017, Mark became the first Editor-in-Chief of Smart Communications' Corporate Blog, helping craft articles that help consumers better understand Smart's products and services. Milan is also happy to be working with various tech and electronics companies, helping them achieve some of their digital marketing targets online. Some of the companies Mark has worked with include Nokia, HTC, LG, Smart Communications, RIM/BlackBerry, Acer, Sun Cellular (Digitel), Globe Telecom, Dell, MSI-ECS and Power Mac Center, among others. As always, Mark is looking forward to working with more tech companies in the future. *Oh, and also, some community activities on TechPinas have already become TP traditions! Most popular of which is the TechPinas Gadget Bonanza or TPGB, which is a time when Mark Milan gives back to his TP Friends, giving them a chance to own some of the top gadgets he features on the site. Milan humbly offers all of his successes - big and small - to God, his country - the Repulic of the Philippines, his family, close friends, loved ones, his alma mater - Ateneo de Manila University - and to his ever-growing number of TP Friends online. While wishing the best for everyone who supports him, Milan knows that - for himself, TP and his other projects - the best is yet to come. DISCLAIMER: The company logos (Apple, Google) shown in any part of this site are properties of the companies they represent while all product photos, press releases and videos shown or quoted in the template and in the blog-posts are properties of the companies and entities that produced them. TechPinas is not in any way claiming ownership of these collaterals. As such, any photo, PR article or video could be taken down without ado upon request of its/their rightful owner. As much I/we can, the editor/s of TechPinas try to give credit to owners of the above-mentioned collaterals - especially if they were voluntarily shared with the site. TechPinas is written by human hands and is, therefore, subject to imperfections. SPOTTED! Section merely COLLATES photos of Pinoy Celebrities holding or near gadgets. These photos have already been published previously by other parties online. Note that just because a celebrity is shown with a gadget does NOT mean that he/she already endorses the gadget's brand - unless otherwise specified. Any photo can be taken down without ado upon request of the Celebrity and/or his/her management and/or the photo/s' true owner/s. In line with the vision of TechPinas, the goal of SPOTTED! section is simply to make every Pinoy feel that everyone can be techie and that technology is not something so far that it can't be reached.